Each year the Head Hunters team visits summer camps all across Georgia before start of the camp season. We check every child there for head lice before they settle into their cabins for the summer in order to help prevent any outbreaks of head lice. If cases of head lice are identified, our technicians treat the child on site so that they can stay and enjoy their camp experience. 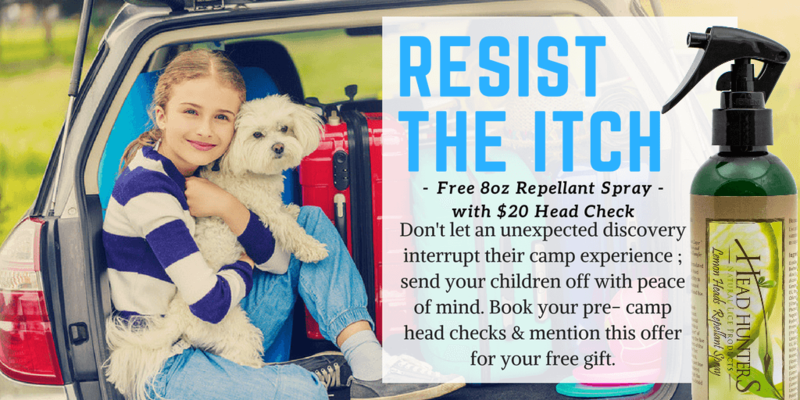 By taking this preventative action, we help to ensure that children’s camp time goes uninterrupted and that they do not bring home a lice infestation. We check thousands of campers each summer and on average find that at least 3% have head lice. We advise that children get a peace of mind head check before and after your children go to summer camp. Before camp you can ensure that your child is not unknowingly taking lice to camp with them and after camp you can ensure that your child is not bringing lice home. While your child is at summer camp encourage them to keep their hair in buns, braids and ponytails. 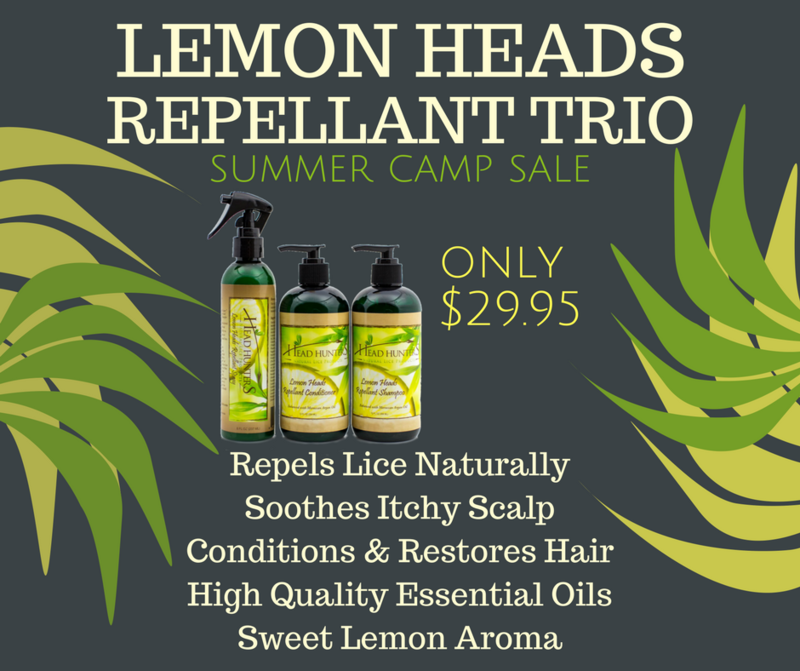 Send your child to camp head lice repellant shampoo, conditioner and spray for them to stay lice free all summer long. These repellant products are great not only for preventing head lice, but also for keeping the mosquitos away! Head Hunters Salons are a great choice to schedule a peace of mind head check and to pick up our Signature Lemon Head Repellant Products. A visit to Head Hunters will help ensure that your child has an enjoyable summer camp experience and memories that will last a lifetime.